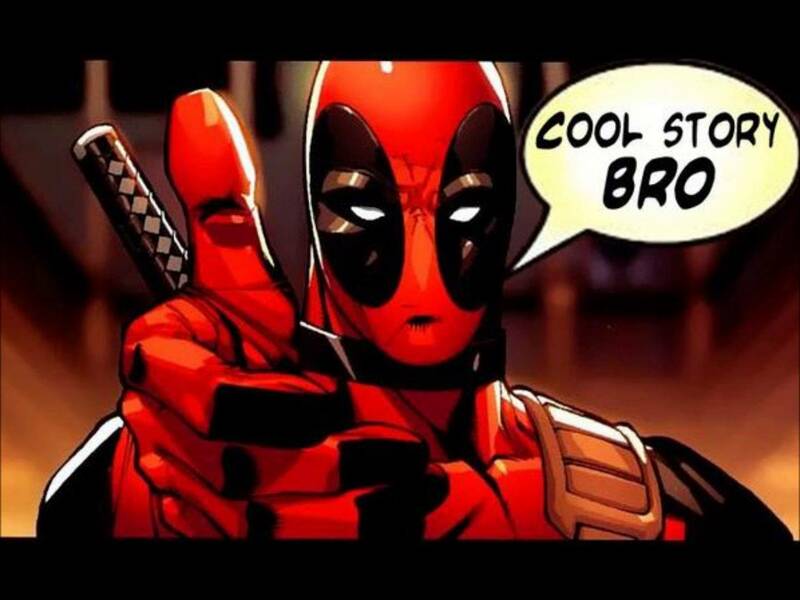 20thCentury Fox’s Deadpool (2016) is a refreshing splatter of blood, wit and meta-narrative. From the moment the film strip spins to life you realize that you’re being screened difference, and that what you’ve comfily seated yourself to watch looks like it’ll be a treat. The nice thing about that expectation is that it holds throughout the movie. The meta nature of the writing bursts to life like the spray of bullets from the starting credits. The hyper-slow frames and detail reminds one of the X-Men Quick Silver take but here we are first disoriented and left to locate ourselves as we tumble into the movie mid-scene mid-song. Not following a traditional narrative works when the rest of the movie pieces support that decision to cohesively deliver seemingly unorganized stories in a subliminally organized manner. 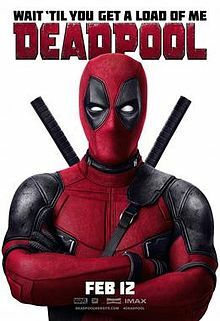 In Deadpool our intriguing narrator Wade Wilson, played by the lovable Ryan Reynolds, takes us through time lapses and back story to effectively situate us in the present. He does this charmingly without any lack of entertainment. The logic is easy to follow and the story itself is interesting enough. The beauty of Rhett Reese and Paul Wernick’s writing is that it is simple, and the arc of the story doesn’t try to extend beyond the Heavens and wrestle macro apocalypses of Avenger-ial proportions (hint, cough*). At its center is a love story; regardless of the narrator telling us that it isn’t. The irony of the love story is that it tries its level best to wash out its passionate red stained love but fails like Wilson’s pitiful attempts to scrub out his once white now stubbornly crimson shirts at the laundromat. Evil in this movie isn’t sinister, but more torturous. Nothing memorable, but utilitarian enough for us to get by. You knew the studio was low budget on this, around $25 million, but I have a feeling they’ll make their money’s worth across two weekend box offices. Tim Miller (Director) doesn’t get too flashy. We don’t get many set pieces and locations, and most of the action and shots are centered in contained sets. The CGI gives way to revealing itself that it’s CGI in some of the last scenes (look closely) but the fact of the matter is—these can be forgiven. You have a great story here led by an unusually candid renegade non-superhero accompanied by his slapstick wit and “he-said-what-I-was-thinking-did-he-really-just-say-that” factor. We learn to get roped into the movie without trying to admire the visuals and grandeur of mass destruction, of which there is very minimal – thank God. Reynolds is the beating heart of this movie. Not because he is the lead, but because his character onscreen, and in reality really, fit perfectly into this film to give its own flavor. One could call it a satire on the now never-ending comic movie franchises, the eighth installment of the X-Men series, but it does more than that. It walks the audience through its own narrative, and heightens its self-awareness by vocalizing what the audience thinks but doesn’t utter. It get us every time – again the power of meta narrative done right. Highly sexualized, gory, and not one lack of slicing power packed bullet-spraying bone-crushing entertainment. The recurrent theme of Deadpool’s self-satisfying self-stimulation is at moments comical but also intentional to support the larger sexual overtones of the film. What works to make the movie matter is the adorable chemistry Deadpool has with the gorgeous Vanessa Carlyle (Morena Baccarin). Another jab made at the audience for its Valentine’s Day weekend release. The humor is reminiscent of Guardians of the Galaxy, and like its fellow comic book cousin it succeeds. The homage paid to 80s and 90s music and classic movies doesn’t go unnoticed either. The soundtrack is well chosen, and evocatively nostalgic. I wouldn’t put it at the same level of the masterpiece musical choices of Guardians, but still very good. Overall, we give it a solid 8.6/10. A full-scale budget would have shot it well into the 9s without doubt. Adieu.